Senate can order SGF’s arrest, if he fails to appear before it – Falana – Royal Times of Nigeria. Human Rights lawyer, Femi Falana has said the Senate can order the arrest of Secretary to the Government of the Federation, Babachir Lawal if he fails to appear before it. 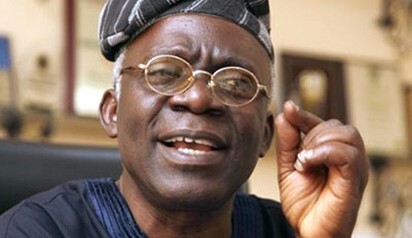 Falana in a statement said the Senate’s investigation into the North East humanitarian contract was legally backed. He said, “The investigation being conducted by the Shehu Sani committee into the grass-cutting contract is backed by Section 88(2) of the constitution. So the SGF is constitutionally required to appear and cooperate fully with the committee.